One Momma Saving Money: IHOP will be offering up a Short Stack of Buttermilk pancakes for just 58¢ on July 12th! 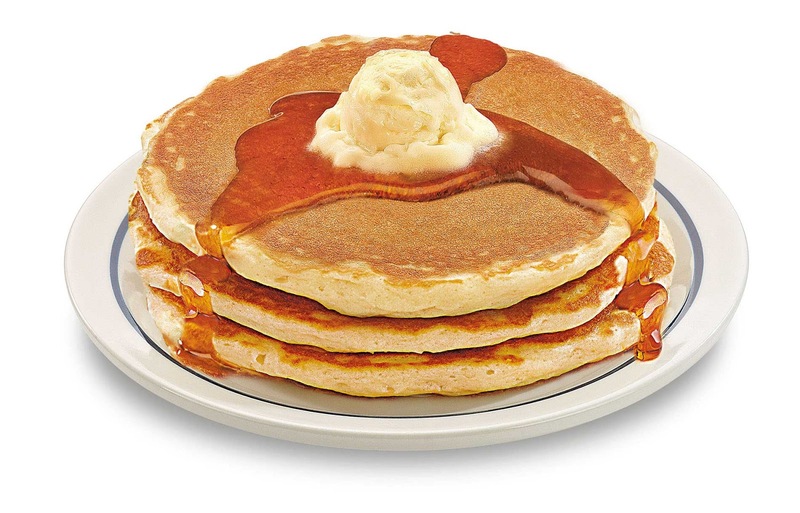 IHOP will be offering up a Short Stack of Buttermilk pancakes for just 58¢ on July 12th! In celebration of its 58th anniversary, IHOP® Restaurants and its franchisees will offer guests a short stack of its world-famous Original Buttermilk Pancakes for only 58 cents on July 12 from 7 a.m. to 7 p.m. at participating restaurants*. The promotional anniversary price is actually four cents less than what the pancakes cost in 1958 when brothers Al and Jerry Lapin and partners opened the first International House of Pancakes in Toluca Lake, Calif., a suburb of Los Angeles. Known for culinary innovation, the traditions that began with the original IHOP Restaurant continue today as the brand and its franchisees welcome in guests, their families and their friends to enjoy signature breakfast foods and more, customizable by order and available any time of the day, every day. Today, the undisputed breakfast leader celebrates almost six decades of being a part of communities around the world, with close to 1,700 restaurants in total and a presence in every U.S. state, the District of Columbia, Mexico, the Philippines, the United Arab Emirates and many other global locations. The originator of all-day breakfast, IHOP and its franchisees have invited guests to enjoy made-to-order, world-famous Original Buttermilk Pancakes, hickory-smoked bacon, fluffy omelettes, International House Roast® coffee served in its Never Empty Coffee Pot® and more delicious foods and beverages every day since opening. While Original Buttermilk Pancakes continue to be one of the most popular IHOP menu items with more than 700 million sold each year, the brand has also brought fans distinctive, limited-time favorites over the years, like Rooty Tooty Fresh ‘N Fruity®, Stuffed French Toast, Double Dipped French Toast and Criss-Croissants™ ― 27 layers of flaky croissant dough baked in a waffle iron and filled with delectable flavors like Meyer lemonade cream, then topped with sweet blackberries. Now through July 31, guests can enjoy the latest “only at IHOP” creation, Paradise Pancakes in three tropical flavors ― Strawberry Passion Fruit, Banana Macadamia Nut, and Pineapple Upside Down ― reimagined from the Hawaiian vacation breakfast that served as the inspiration for IHOP Restaurants. *Participation varies. Dine-in only. Limit one per person.